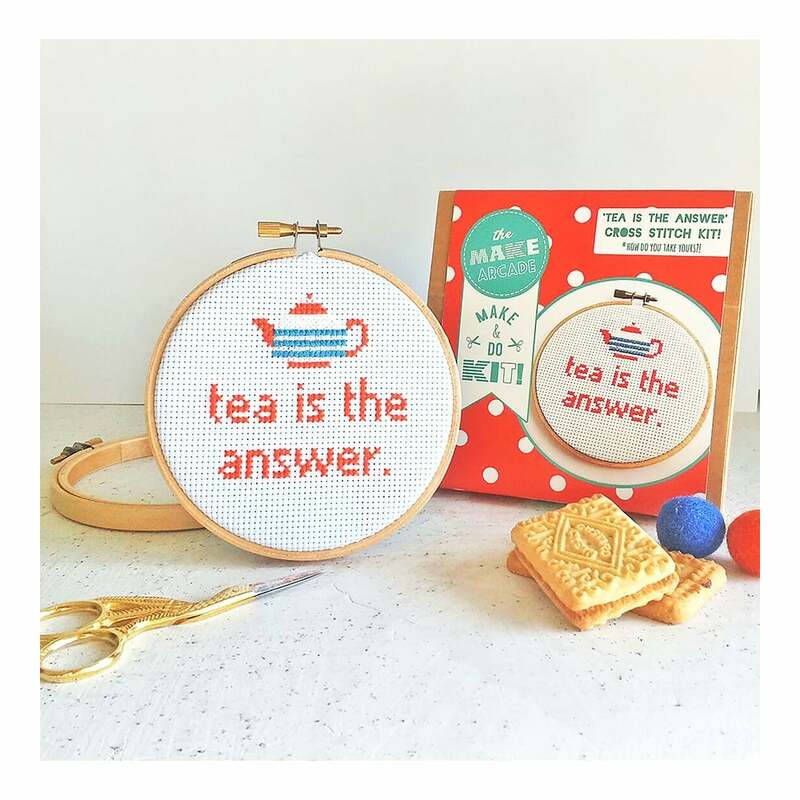 This kit uses a midi sized 4” wooden embroidery hoop and full and simple instructions to cross stitch the 'Tea is the Answer' slogan in a vibrant orange colour. The orange perfectly compliments the cute Cornish-ware inspired teapot design in blue and white. The finished cross stitch can be hung up on the wall or propped on a shelf with your lovely vintage tea-ware - perfect for kitchen shelves! Each kit includes: Aida fabric (that's the stuff you stitch through! ), embroidery threads, wooden 4” hoop, needle and felt to back your work when you are done. All you need to provide are scissors.